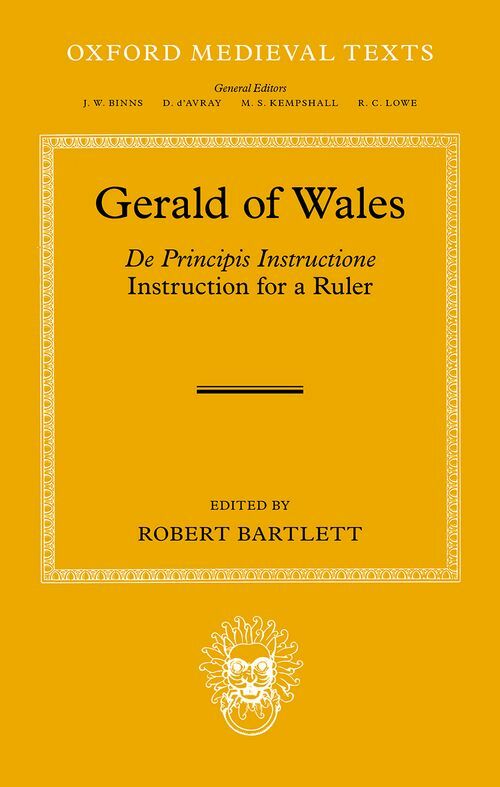 Gerald of Wales was an ecclesiastic, a servant and critic of the Angevin kings, and a prolific and vitriolic writer. Born in Pembrokeshire of mixed Norman and Welsh blood in the middle years of the twelfth century, he was appointed archdeacon of Brecon in 1175, but that was the highest office he attained, despite his indefatigable efforts in the years 1198-1203 to become not merely bishop, but archbishop, of St Davids. His death was reported in 1223. His Instruction for a Ruler (De principis instructione) is of interest for three main reasons: it provides a detailed and violently partisan account of the last days of Henry II of England; it is full of miscellaneous but valuable stories and anecdotes (such as the account of the discovery of the tomb of Arthur and Guinevere, and the legend of the destruction of the Picts); and it is a monument to the literary culture of a highly educated writer at the heart of the twelfth-century Renaissance. Robert Bartlett is Bishop Wardlaw Professor of Mediaeval History at the University of St Andrews and a Fellow of the British Academy. He received his university education at Cambridge, Oxford, and Princeton, and has taught at the universities of Edinburgh and Chicago. His books include The Making of Europe: Conquest, Colonization and Cultural Change 950-1350, which won the Wolfson Literary Prize for History; England under the Norman and Angevin Kings 1075-1225; and Why Can the Dead Do Such Great Things? : Saints and Worshippers from the Martyrs to the Reformation. He has also written and presented three television series for the BBC, Inside the Medieval Mind, The Normans, and The Plantagenets.